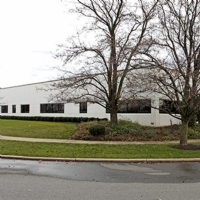 Bussel Realty Corp. (BRC), a leading industrial real estate services firm in New Jersey, today announced its arranged the sale of 121 Corporate Boulevard in South Plainfield, New Jersey, a 36,000-square-foot industrial building, for an undisclosed amount. South Plainfield, New Jersey, a 36,000-square-foot industrial building, for an undisclosed amount. Herb Zimmerman, senior vice president of BRC, represented the buyer, Touch Dynamic. The seller, Adler Development , was represented in-house. "Touch Dynamic will utilize the facility for the manufacturing, servicing, testing, shipping and distribution of its various products," noted Zimmerman. "The property’s image quality and location were important to the company, with its access to major highways for reaching customers throughout the New York metro area." 121 Corporate Boulevard is a 36,000-square-foot industrial property, located near Route 1, I-287 and Exit 10 of the New Jersey Turnpike. The property is fully air-conditioned and features three loading docks, one drive-in door, 19-foot ceiling heights, 90-free surface spaces and 600 amps of power. Founded in August of 2001, Touch Dynamic is a certified manufacturer of All-in-One touch terminals, small form factor PC’s, mobile POS tablets and touch screen monitors for a variety of industries. Their products are manufactured, tested, shipped and serviced from the US headquarters in South Plainfield, New Jersey, and three regional distribution and service centers located in Sunrise, Florida; Houston, Texas; and Wilsonville, Oregon.